I’ve written here and in Books, Crooks & Counselors about drug courts, citing the tremendous results in Yellowstone County (Billings), Montana. The District Court judge who led the county’s family drug court for 12 years, Judge Susan Watters, is awaiting Senate confirmation to the U.S. District Court. The Billings Gazette reports that this past week, the graduates gave the judge their own thank you ceremony. I think it’s quite moving, and that if you are writing about the court system, options like drug and mental health court, or addictions issues, you’ll find something useful in the story. And take a look while you’re there at this article on Enhanced Treatment Court, formerly called Mental Health Court, a court that focuses special attention on those who have committed minor crimes but struggle with a variety of issues, including mental illness, to help them get back on track. It’s good work. In Books, Crooks & Counselors, I wrote about drug courts, mental health courts, and other treatment courts designed to give offenders with identifiable problems–sometimes called “co-occurring conditions”–extra resources. The goal is to provide intensive management and supervision to help them solve the underlying problems, e.g., requiring regular check-ins, making sure they attend AA or NA meetings, obtain psychological counseling, and work or attend school–helping them become contributing members of society while reducing the risk of future criminal offenses. A 2011 report from the Montana Supreme Court, Office of the Court Administrator, tracks their success. The results are encouraging. • On average, in Montana, nearly 54% who enroll graduate. National studies show similar rates. • “Adult Drug Court graduates reported a 17.6% increase in employment from admission to graduation. Family Drug Court graduates report a 61.8% increase in employment from admission to graduation.” When parents work, kids do better economically. • “Forty-four of the 115 graduates that did not have a driver’s license at admission received a license by graduation.” Most likely those licenses were lost because of DUIs. Reinstatement reflects sobriety. Funding problems continue. At the same time as some counties are adding drug, family, and veterans court, others are cutting treatment courts. The easy-to-read report opens with a letter from a graduate, and provides a useful analysis of a variety of approaches with statistical results. 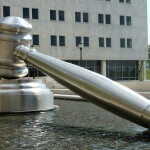 Are your fictional characters candidates for a treatment court? Graduates or drop-outs referred back to prosecution? A family member helping, or standing in the way? Staff? A mental health counselor fighting to keep a treatment court operating? One of the Q&A in Books, Crooks & Counselors is how drug courts work. In answer, I mentioned other intensive supervision courts–for veterans, the mentally ill, DUI offenders, families, and young fathers. 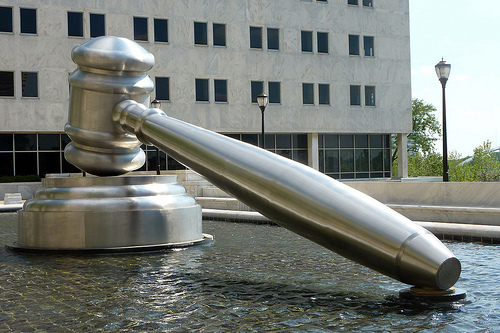 These specialized courts also offer writers an opportunity to explore social issues through fiction–one of the things modern crime fiction does particularly well. Nearly 100 courts nationwide focus on veterans who have committed crimes–often involving drugs or alcohol, and not serious felonies. A combination drug and mental health court, vets’ courts address the special needs of vets with post-traumatic stress disorder (PTSD), traumatic brain injury, and other combat-related injuries, as well as substance abuse, anger, and challenges readjusting to civil society. By providing intensive supervision and access to services, the courts can help these defendants get their lives back on track–and reduce the risk that they’ll become repeat offenders, homeless, or otherwise unproductive. The Missoulian recently reported on the first graduate of the first veterans’ court in Montana, who says he served five tours as an Army Ranger in Afghanistan, and came back angry. An earlier story describes the court’s purpose and structure. Participants sign a contract that includes a treatment plan. They agree to undergo drug testing, counseling, and daily phone check-ins for the first several weeks, and weekly in person check-ins with the judge. Depending on their needs, they may be ordered to attend Alcoholics Anonymous or Narcotics Anonymous. All need to be employed or searching for work, and job search assistance may be available. Mentors–all vets themselves–work with each participant. Successful participation can result in a reduced sentence or deferred prosecution. If a veterans’ court seems like a good addition to your story, get more information from the National Clearinghouse for Veterans Treatment Courts, a project of the National Association of Drug Court Professionals, or check out the links in this Missoulian article.